nextstep.tcs.com: Get the information related to TCS NextStep Registration Login Link For Freshers (2019, 2020 Batch Passouts) through this article. Candidates, those who are going to attend for TCS Campus Placements can check the TCS NextStep Registration Link available in below section. We are very confident that the current post is very helpful for the Fresher candidates who wish to attend for TCS NextStep Campus Drives across India. 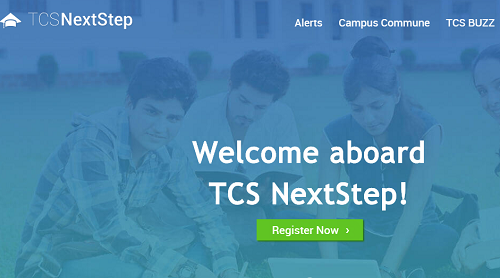 All the Fresher contenders need to register themselves by utilizing the web portal of nextstep.tcs.com. All the details regarding registration are given in a detailed manner at the below sections. Hence, we suggest the students to follow the below given information. 1.1 How To Check if Successfully Registered in TCS NextStep Portal? or Not? 1.5 How To Prepare For TCS NextStep Drive? Step 1: Open https://nextstep.tcs.com/ and Click on Register Now. Step 2: Click on IT. Step 3: Fill the form and remember Password and Reference ID. Step 4: Again Login to https://nextstep.tcs.com using your Reference ID and Password. Step 5: Click on “Application Form”. How To Check if Successfully Registered in TCS NextStep Portal? or Not? Step 2: Click on “Track my Application” if the status says received successfully then you’ve registered properly. Aspirants who had done their Graduation in past two to three years are advised to TCS NextStep Registration Login only through online mode at TCS NextStep. 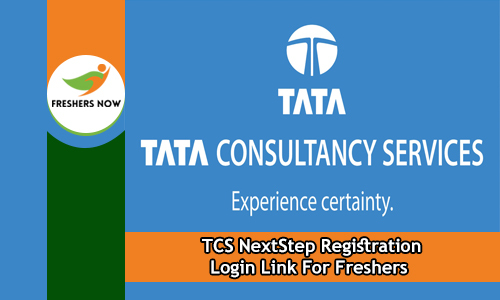 Moreover, the TCS NextStep Portal is only created for the Fresher aspirants to given details of Registration and Login. Well, the officials of Tata Consultancy Services had designed the TCS NextStep portal and handling the TCS Recruitment Drives. Till now many of the contenders didn’t log in for the TCS NextStep procedure. Therefore, those who are about to registered can check the TCS NextStep Registration Login Link through this article. And attend for the On Campus and Off Campus TCS Recruitment 2018. As per the latest news, this year the Tata Consultancy Services offers many job Openings through TCS NextStep. Job seekers from any part of India are instructed to apply for the TCS NextStep Portal. At the below, we have given direct TCS NextStep Registration Login Link. After completion of registration process, contenders can easily update their details along with the current status of an Application form. From the above section, we have given the latest TCS Recruitment 2018 link. So interested seekers can click on the link and check the latest job openings. With the help of TCS NextStep Registration Login Link, you can also check the newly available notifications. Also, visit the web portal @ nextstep.tcs.com daily. 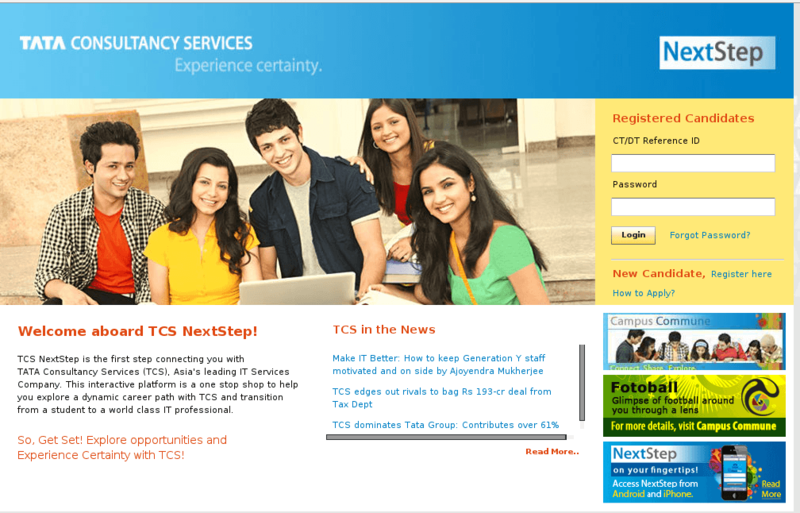 The TCS NextStep Registration Procedure is a really clear and easy for all aspirants. In this article, we have provided entire instructions about the TCS NextStep Registration Login Link. Every year many of the Graduate and Post Graduate candidates are participating in the TCS Recruitment Process. Likewise this year also, many of the Fresher contenders are planning to attend for the drives. For all those people, the present article is the best source. How To Prepare For TCS NextStep Drive? The Tata Consultancy Services held the recruitment rounds in a very clear manner for the students with the eagerness to the company’s success with their passion and skills for coding, development and much more. We are sure that it is very easy for the people to enroll in the TCS NextStep Registration process. Hence, check the below given procedure and get the easy and simple login details. After successfully completion of selecting the IT or BPO contenders have to fill up there some of the personal details. The Personal details are Name, date of birth, gender, Email id, Qualification, Mobile Number and etc. Then follow the simple steps in order to reset the password. Candidates can get the on campus and off campus notifications for their E-mail Id registered with TCS NextStep. Any of the contenders get a notification then kindly log in to the TCS Portal and select the online test location and apply for off campus. For attending the TCS Off Campus drive, you have to carry the Application form along with Resume on the scheduled date. The main instruction to the contenders is enter the correct details before applying for off campus. Visit our website www.freshersnow.com on daily basis.